Frank Frost (April 15, 1936 – October 12, 1999) was one of the foremost American Delta blues harmonica players of his generation. Charles "Papa Charlie" McCoy (May 26, 1909 – July 26, 1950) was an African American delta blues musician and songwriter. Willie Love (November 4, 1906 – August 19, 1953) was an American Delta blues pianist. He is best known for his association with, and accompaniment of Sonny Boy Williamson II. Charley Booker (September 3, 1925 – September 20, 1989) was a blues singer and guitarist from the Mississippi Delta, who recorded in the early 1950s for Modern Records. Jack Owens (November 17, 1904 – February 9, 1997) was an American Delta blues singer and guitarist, from Bentonia, Mississippi, United States. James "Son" Thomas (October 14, 1926 – June 26, 1993) was an American Delta blues musician, gravedigger and sculptor from Leland, Mississippi. Tommy McClennan (January 4, 1905 – May 9, 1961) was an American Delta blues singer and guitarist. 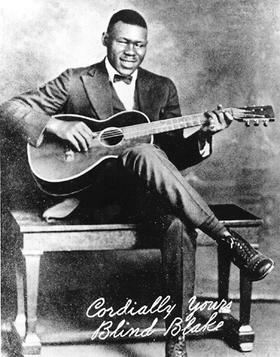 Kansas Joe McCoy (May 11, 1905 – January 28, 1950) was an American Delta blues musician and songwriter.